Until recently, the most effective and informative method of diagnostics of pathologies of zubochelyustny system was panoramic radiography. With the advancement of technology has provided a new method – a three-dimensional x-ray that allows a specialist to assess the condition not only of visible elements of the jaw, but unavailable for review. Three-dimensional computed tomography is a modern diagnostic method, which enables examination of the jaws and teeth of the patient in any projection at any angle. CT allows you to create accurate three-dimensional model without any errors and distortions, additionally, there is the opportunity to examine the bodies to the desired layer by setting the size of the slice. Diagnosis is possible even after the resulting image is saved in the system. The study does not take much time – the whole scanning process takes less than a minute. A three-dimensional image obtained in the survey is extremely accurate and carries information about the status of all teeth, bones and soft tissues of the oral cavity. Due to the possibility of layer-by-layer examination of the models eliminates the need for other diagnostic procedures for the compilation of appropriate treatment regimens. 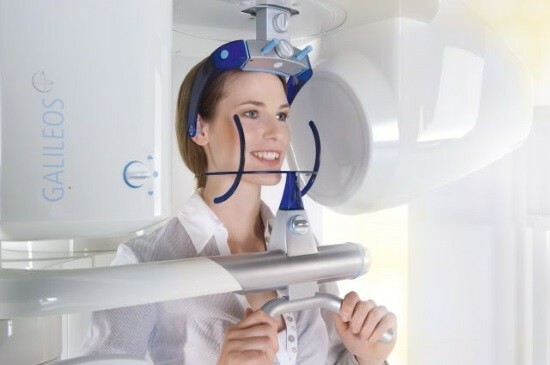 Three-dimensional radiography is indispensable in the planning of orthodontic treatment – it allows the physician to assess the bone density and mutual arrangement of the teeth and jaws. 3D-imaging allows to identify inflammatory disease at the early stages of development, when there are no symptoms of pathology, and the teeth look healthy. Diagnosis of anomalies of the dentition. Assessment of the situation impacted (impacted) and dystopic (misplaced) teeth. Diagnosis of traumatic injuries of the good being of the patient after a trauma does not mean that he is all right. Often, severe damage that is not visible to the naked eye and are felt later. Computed tomography allows time to see and eliminate all consequences of the injury, without waiting for severe consequences. Planning of surgical interventions in the maxillofacial region, including preparation for implants and sinus-lifting – before operation it is important to identify all possible factors that could complicate the procedure. Planning of orthodontic treatment – before installing the braces, it is important to ensure that the teeth and the bone withstand the load. It is especially important before installing the braces to make a 3D radiograph of the teenagers, as this will allow you to figure out the location of the rudiments of the wisdom teeth and predict their direction. If it turns out that their eruption can negatively affect the condition of the dentition, they will have to be removed. 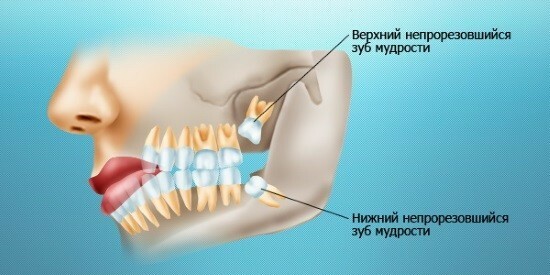 Suspected inflammatory processes in the jaw. Computer modeling for the manufacture of some orthodontic appliances. Identify the consequences of poor endodontic treatment is sometimes the treatment of pulpitis may result in serious consequences. In some cases, the dentist is unable to fully handle and to seal root canals that will later lead to complications. Due to the fact that the tooth is sealed, to learn about the development of abnormalities at an early stage is very difficult – symptoms occur with marked changes. Quality control of treatment – often a CT scan administered after the completion of treatment. For example, after a difficult tooth extraction is necessary in order to make sure no fragments of bone or tooth. In the course of a computed radiography patient will receive a dose of 45 to 60 µsv. For comparison, a computed tomography of the skull radiation exposure is about 400 mSv. However, under normal intraoral contact radiography the radiation dose is several times lower. For holding 3D x-rays there are a number of contraindications: pregnancy, lactation, chronic thyroid disease, diabetes, severe, kidney failure. Three-dimensional computer x-ray – a simple and quick procedure. The patient in the study will not feel any pain or discomfort. You need to go into the cabin and place the chin on a special support for fixing the head in the correct position. During the scanning should remain absolutely still. The entire process takes place under the supervision of a specialist who will answer your questions and explain the procedure. The results will be ready immediately after the procedure, it will be saved on the computer of the clinic. If desired, they can be transferred on disk or flash card. Where it is possible to do 3D x-rays? Not all clinics are equipped with appropriate equipment – most often devices for computer tomography is installed in large dental clinics offering wide range of services.